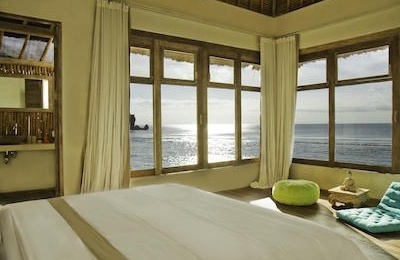 Bali Kitesurf School - Sanur, Legian Guests overall rating: ★★★★★ 5 based on 7 reviews. At Kitesurf School Bali, you choose how you want to ride, the classroom is the ocean! Beside the kitesurfing, you can also choose surfing, wakeboarding, bodyboarding, windsurfing, stand up paddleboarding, freediving or scuba diving; You have it all in Bali. Start from the beginning or improve your skills, go on the surface or float through the depths, our crew of coaches will show you how. We are in all the spots to give you exactly what you’re searching for. With schools in Legian and Sanur, all of the crew love to share the fun with you, they live and breathe the beach lifestyle. Instructor’s accreditation: International Kite Organisation: Lv. 1-2, International Surfing Association Lv. 1-2, or Academy of Surfing- Surfing Lv. 1-2. International Surfing Association, Flat Water SUP Lv. 1, or Academy of Surfing – Stand Up Paddle Level 1-3 and certified SUP yoga instructor. All staffs are first Aid trained; all senior operational staffs are Bronze Medallion Surf Lifesaving certified and Emergency First Response trained. The day starts with pick up at dawn, with our custom surf van watching the latest surf movies to get the inspiration for your session. Then choosing from a huge quiver of the latest surfboards, from DHD shortboards to Softtop longboards. Rip Curl rash vests, boardshorts, reef boots and surf helmets are all provided, along with impact vests for wake, kite and windsurfers. Before you hit the beach we’ll hand out sunblock to slap on. All you need to do is bring yourself and plenty of energy! We take care of everything! At Kitesurf School Bali, we do not have accommodation, we offer air-conditioned transfer to and from the accommodation including surf racks for carrying guest boards, onboard video entertainment, and free Wi-Fi. 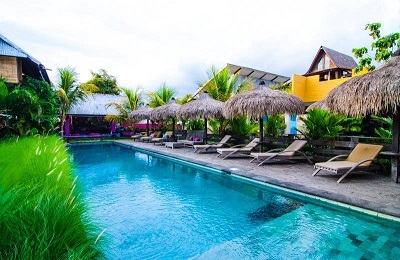 Our Sanur Surf & Yoga Hotel is a great option! With kitesurfing you aren’t reliant on the waves for speed – all you need is wind and we have plenty of it in Bali. Kitesurf School Bali will show you how to take control of your kite, ride across the flat water lagoons and head out to the reefs to surf the waves rolling in. Our International Kite Organisation accredited campus in Sanur is where all the kitesurfing courses take place. Prepare yourself with all the essentials for simple freeriding, and with expert guidance you’ll be progressing to freestyle and wave riding kitesurfing in no time. First things first, to kitesurf you need to learn how to fly and control your kite. This entry level course teaches you about setting up all your kite surf equipment and safety procedures, along with invaluable wind window and wind pattern knowledge. You’ll strap into the seat harness and start with a 2-line trainer kite before moving on to a 4-line kite, then finish the course with completing a beach launch. Once you’ve got all this under your belt you’ll be ready to hit the water! Study up before your course by clicking on the study book icon. With your kite control under wraps, it’s time to get wet. This course is all about getting comfortable in the water with your kite, so before taking a board out we’ll run you through some body dragging skills. You’ll experience moving in the water without a board, turning left and right and also carry outsome board recovery drills. Then it’s time to strap a board to your feet and start riding! This section of the course will teach you about water starts, correct board positioning and riding with one hand on the harness. Study up before your course by clicking on the study book icon. Learning kite control and water control is the essential build up to freeriding. In this course you’ll be taught all the kitesurfing techniques you need to freeride across open water, like adjusting your speed, edging the board, riding downwind, riding upwind and turning correctly. As you progress our coaches are on hand to work on more advanced techniques with you, like freestyle tricks and aerials. Experienced kitesurfers are welcome to join this course to improve their skills too. Study up before your course by clicking on the study book icon. Concentrate on learning all the necessary Board Riding skills utilizing our wakeboard boat, Kite board, Kite -harness and Kite bar’n’line system. Learn up wind board recovery, water starts – coming up out of the water both directions using the harness, correct body positioning & edging the board for upwind riding plus turning. Catching your first wave at is an experience you’ll never forget, and knowing the correct technique will have you up on your feet and surfing in no time. You can choose from a range of boards or courses all designed to improve your surfing whatever level you’re at. Our coaches will assess your ability and show you how to improve, whether it’s catching more waves, perfecting your bottom turn or faster cutbacks. From theory in the classroom to practice of the beach, our surfing syllabus covers everything you need to make the most of your surf sessions and get you stoked. If you have never surfed before or are still a beginner this course will set you up with some essential knowledge. You’ll learn the art of riding ocean waves with the fundamentals to take your surfing to the next level. The course focuses on basic surfing technique, paddling, popping-up, wave riding stance, turning your board on the wave, ocean knowledge and safety. After taking this course you’ll be surfing beach break waves, feeling comfortable in the ocean and know the correct surfing etiquette. Study up before your course by clicking on the study book icon. So you can ride waves but want to smooth out those sketchy cut backs and bottom turns? Push yourself to control the extra power of reef break waves and learn how to stay safe. This course teaches you about using natural channels to get out back, reading how a wave breaks, wave take-off positioning and improving manoeuvres like bottom turns, carving and cutbacks. See for yourself when and where you are going wrong with video analysis of your session, and by the end of this course you’ll know exactly how to keep improving your technique. Study up before your course by clicking on the study book icon. You’re already pushing the limits of your surfing and are now ready to throw yourself in the deep end. This course is designed to help you to step up your game. Learn how to drive off your bottom turn to slash the lip of a wave, master fast rail-to-rail surfing and smoothly link your manoeuvres. Borrowing elements of the Rip Curl Team Rider Manual, this specialised course will make sure you can really nail those manoeuvres and tricks that you’ve been working on. Study up before your course by clicking on the study book icon. Give your grom the best head start to become a little ripper with a course designed specifically for kids. With one-on-one tuition with one of our coaches your kid will get answers to all their surfing questions and always be under close supervision. It also allows for a lesson to be adapted specifically for your child’s ability. The course is all about getting your little ones stoked to surf, through confidence building, skill improvement and having lots of fun. If you’re after quick exhilaration then wakeboarding is the sport for you. Quick to learn but hard to master, our wakeboard coaches will get you up and riding in one session, but it is down to you how far you want to push your skills. Watch our coaches pull off indy grabs, 180 spins and boost huge airs off the wake, then practice these tricks yourselves. Our specialised wakeboarding boat makes it easy to adjust the size of the wake, so you can ride whatever size you’re comfortable with. You’ve got to start somewhere, so this course eases beginners in with the essential basics of wakeboarding. Starting with safety, you’ll learn hand signals to communicate with the boat driver and how to get in and out of the wakeboard bindings. We’ll explain how to perform a deep-water start and why you have to let go of the rope when you fall, then it’s over to you. You’ll get comfortable riding behind the boat, crossing the wake and using one hand to hold the rope. Jump straight up to the next level and start practicing jumps and spins. You’ll be shown how to perform wake slides to boost your control and confidence on the wakeboard, and then our instructors will demonstrate jumping the wake and spins. Learn how to generate extra speed when setting up for a jump and how to position your body and arms for smooth landings. Then it’s your turn to practice launching from the wake and nail those 180’s! If you’re ready to boost some big airs or even try out the wake skate, get some expert coaching on the best technique and safest ways to land from our coaches. They will demonstrate jumping and landing from wake to wake, adding a variety of grabs and spins for you to study. You’ll have chance to ask all the questions you have before attempting to launch from one side of the wake to the other. See how high you can launch yourself… you’re sure to need a few attempts before you nail a smooth landing over the wake! For the skater boys and girls try out the wake skate; its loads easier to hit the water than the pavement. Your coach will take you through the technique for deep water starting then it’s time to kick flip and ollie off the wake. For surfers the wake skate can feel more natural as your not binded to the board, you can surf the wake making hard hits off the lip of the wake, 180, 360 and not worry about the dreeded “catching an edge”. The versatility of windsurfing makes it an awesome watersport to learn, and at the Rip Curl School of Surf you can learn everything you need to know to get started. Our courses are centred around getting you out on the water and practicing as much as possible, and your coach will select the best board and sail for your height, weight and ability. You’ll learn the best technique for progressing quickly, and have chance to use the best professional standard equipment as your skills improve. Learn the basics about windsurfing equipment and how to handle a windsurfing sail before moving into the water and putting the theory into practice. Your coach will demonstrate launching from the beach, how to balance the sail, how to get moving and how to recover if you fall from the board. Once you’re balancing your weight against the sail’s weight correctly, you’ll then practice windsurfing up and down wind, turning the board and learn how to control your speed. With your sail control honed, you can move on to improving your board control and learning more advanced windsurfing techniques. We’ll start with some theory on how to use wind patterns to your advantage and then hook you up to a harness so you’re attached to your sail. Out on the water your coach will shadow you, showing you how to start up in deepwater, the best foot placement for manoeuvrability and how to quickly pick up speed. With the basics already mastered, you’ll be using a pro model board with foot straps on this course. Your coach will teach you racing techniques like fast rail turns and carving, and you’ll practice planing at high speeds. You’ll have a chance to practice jumps, and your coach will provide you with advice on how you can improve your technique to push your skills even further. Learn or improve your windsurfing skills faster with a one-on-one session with one of our coaches. No matter what your skill level is, your coach will assess your ability, hook you up with the best board and sail and run you through what areas you need to work on. If you want to improve a particular skill, like sail control or planing, just tell your coach and the session can be tailored to whatever you need. Try your hand at Stand Up Paddle board, great for fitness, also an easy and exciting way to surf waves with no surfing experience required. After just one lesson you’ll be piloting the board along the coastline or trying your hand on rolling waves – on your own, with a friend or with one of our guides. Get to grips with stand up paddleboarding on this entry level course designed to get you up and paddling fast. On land you’ll learn about the best paddling technique and how to stand on the board. Then we’ll start you on flat clam water, where you’ll practice paddling and how to turn the board. The perfect introduction to touring SUP, your coach will also teach you a few useful tips to stop you from falling off! Once you’re steady on your feet and can pick up some speed with your paddle, it’s time to start riding waves. You coach will take you out in small surf, demonstrating how to stay balanced when paddling into waves and the best way to pull off before the wave shuts down. You’ll be shown how to switch your feet into a wave riding position and how you can use your paddle to aid your control of the board. This course steps it up a level and aims to take you out of your comfort zone and push the limits of your skills. Learn how to get out beyond the white water and take on big waves. On land, theory will cover wipeout recovery and how to safely ride out a close out wave. Once out on the water, your coach will show you how to powerfully paddle into cresting waves and use your fins for faster turns. No matter what your level of SUP skill, a one-on-one lesson will help you get more out of your time in the water. For beginners and intermediates, your ability will be assessed by one of our coaches who can then create a customised lesson to improve your technique. If you’re an experienced SUP boarder, your coach will be your surf guide to show you the best spots for wave riding. Pure bliss on the Ocean! Join us for an hour of SUP Yoga at Rip Curl School of Surf Sanur, every day in Sanur’s crystal clear shallow waters. It’s new, it’s fun and it’s a great way to enjoy the Ocean and improve your fitness! In a group or private. Are you ready to have fun on the water, soak up some sun? All you need to do is bring yourself, a towel, swimwear, sunglasses, and sunscreen. We give PADI certification from SCUBA DRIVER up to DIVE MASTER, PADI Instructors speak English, French, German, Spanish and Italian. For people ready to explore the Bali underwater scene, we organize trips to the best manufacturers on the planet – CRESSI SUB of Italy and RIP CURL Wetsuits, Oxygen is one of the standard safety measures from PADI and we carry this with us on all our diving expeditions Tulamben, Padang Bai, Nusa Penida, Candi Dasa, Nusa Lembongan and Sanur. Sea kayaking is a great way to discover the ocean and all her beauty, paddle across the lagoon of Sanur with a set of mask, snorkel and flippers to discover the beautiful coral and marine life, if your the adventurous type try sea kayak surfing, fun for singles and doubles. Unlimited use of Ocean Kayak Single, Snorkel, Stand Up Paddle and Taxi Out (unless in use of lesson). Surf Guiding from intermediate to Advanced Surfers who would like to adventure out & experience different reef spots Bali has to offer close by. International Kite Organisation: Lv. 1-2, International Surfing Association Lv. 1-2, or Academy of Surfing- Surfing Lv. 1-2. Stand Up Paddle Level 1-3 and certified SUP yoga instructor. Next to Double Six beach, the Legian school is the largest school, complete with changing rooms, lockers and showers. This is where most of our beginner surfers come to catch their first wave. The fun beach break waves here are great for learning, and to step it up a level we’ll drive you up to nearby Canggu. Here you can take on the reef breaks at Batu Bolong and Tugu to test and progress your skills. Our east coast club is at the Prama Sanur Beach Hotel Bali, the perfect spot to access the calm lagoons and coral reefs peppered along this part of Bali’s coastline. Kitesurfing courses are held at our Sanur club throughout the year, and when the wet season months of November to February roll around our surfing courses move here to take advantage of the offshore winds. The Sanur club is also where our east coast boat trips depart for the reef breaks out of paddle’s reach, like Oka Point and Lighthouse Rights. If you come to Bali from outside Indonesia, several airlines offer non-stop flights from and to Denpasar (Bali’s capital city). International Ngurah Rai Airport welcomes thousands of visitors each day. Major carriers include the state’s airlines: Garuda Indonesia and Citi Link; and privately owned airlines: Batik Air, Lion Air and, Air Asia. For a low cost fare, you can rely on Air Asia as many people use it to travel throughout South East Asia, including Bali for sure. The cheap flights, professional services and the simple procedure allow you to book online with no painful process. As for tourists coming from major cities in the region, namely Kuala Lumpur, Singapore and Bangkok; you can expect daily flight schedules from and to Denpasar. All you need to do is bring yourself, a towel, swimwear, sunglasses and sunscreen. Surf Guilding from intermediate to Advanced Surfers who would like to adventure out & experience different reef spots Bali has to offer close by. Transport: air-conditioned transfer to and from the guests accommodation including: surf racks for carrying guest boards, on-board video entertainment, and free Wi-Fi. Modern equipment: surfboards, kite surfing, stand up paddle boarding, diving, wakeboarding and windsurfing. All necessary safety equipment: surf helmets, reef booties, impact vests and personal floatation devices. Study books: guests will be given the usage of program study books to learn from and aid in instruction during the program. Surf wear: Rip Curl School of Surf rash guard shirts and leggings, Rip Curl surf shorts and wetsuits. Guest services: towels, drinking water, fresh fruit, sunscreen, zinc and first aid kit are available upon request or if necessary. Facilities: changing rooms, student lockers, showering, Rip Curl merchandising, garden bars and parking. Photographic memories: Rip Curl School of Surf photographers will take photos during guest programs, which will be for sale to the guest on completion of the program. Images are stored on a custom Rip Curl surfboard USB. Language of program instruction: All programs will be taught in English and or Indonesian language. Instructor’s accreditation: International Kite Organisation: Lv. 1-2, International Surfing Association Lv. 12, or Academy of Surfing- Surfing Lv. 1-2. International Surfing Association, Flat Water SUP Lv. 1, or Academy of Surfing – Stand Up Paddle Level 1-3 and certified SUP yoga instructor. All staffs are first Aid trained; all senior operational staff’s are Bronze Medallion Surf Lifesaving certified and Emergency First Response trained. "Great staff and fantastic location to learn Kite Surfing. The equipment was great and the staff were excellent teachers"
"Guys are great, learned a lot on good waves. They know what they're doing, just Enjoy! Tips, support, little snacks. Awesome dudes with great style and respect Keep going!" "Really organised! Knowledgeable and patient instructors. Had an amazing time for my first time surfing ever! 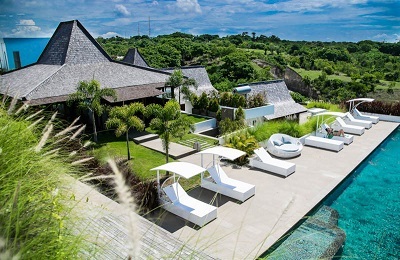 Would definitely recommend to anyone visting Bali." "I had the best experience in Bali! My mentor was Gus who always smiles and is very Personal. His crew was also very good and friendly. I love the vibe at the school, the beach and the waves." "The School was amazing! The teachers are so good. They are all patient, funny, kind and helpful. They make you feel like you can accomplish anything and every single girl in the group was able to standup, turn and enjoy surfing in only 4 days. The lessons are simple, nothing fancy but they're effective. Everybody should try and the team will make it a great experience! " "Couldn't ask for a better surf experience I did the power surfer package, as it was my first time surfing in bali. The staff were very friendly made you feel at home. Surf instructor was great and very experienced helped me fine tune my surfing and took me to the best spots for my experience level on the day. I strongly recommend :)"
"We went diving for two days with our personal guide Jen, she was great!! Me and my girlfriend hadn't dived for several years and Jen helped us get back into it with no problems and completed our Padi Reactivate course. We had two great days of diving with everything included in the price from lunch. equipment, travel, and boat. Jen took us to four great dive spots including Manta Point where we got to dive with Manta rays. I thought the price was very reasonable with what we got. I would recommend this dive centre for anybody looking for a small group experience for first time divers, people wanting to do a Padi course or experience divers. Great service that fills you with confidence in safety. I would defiantly go back."